Pulido served on the Board of Governors of the South Coast Air Quality Management District for over a decade. That gig is over now as Pringle and several prominent Republican leaders led a movement to dump Pulido and replace him with a Republican – Lake Forest Councilman Dwight Robinson. Why would Pringle turn on his old friend Pulido? Reportedly Pringle was paid to take out Pulido, by one of his clients, the Western States Petroleum Association, which wanted to see Pulido removed from the AQMD board, presumably because of his staunch support for alternative energy, according to the Voice of OC. The effort to get rid of Pulido had an unforeseen repercussion that could end up threatening the OC GOP’s grasp on the Irvine City Council. 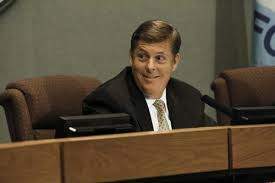 Irvine Mayor Pro Tem Jeff Lalloway refused to go along with the Republican scheme to dump Pulido. Lalloway works with Pulido on the OCTA Board and no doubt realized that Pulido is not a flaming liberal. Lalloway also opposes his party’s attempt to strong arm local politicians, who are supposed to be non-partisan. This is a big deal as Lalloway is the Vice Chairman South of the California Republican Party and he is the Treasurer of the Republican Party of Orange County. While he is a loyal Republican he is also not a pushover. 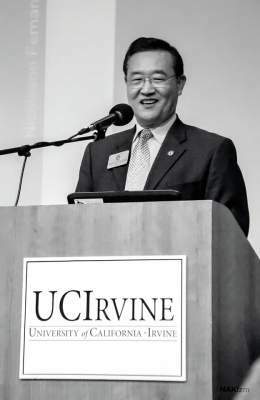 Unfortunately for the OC GOP Lalloway got very upset when Irvine Mayor Steven Choi replaced Lalloway on the City Selection Committee – replacing him with Irvine Councilwoman Christina Shea who did what her party told her to do and voted for Robinson instead of Pulido. 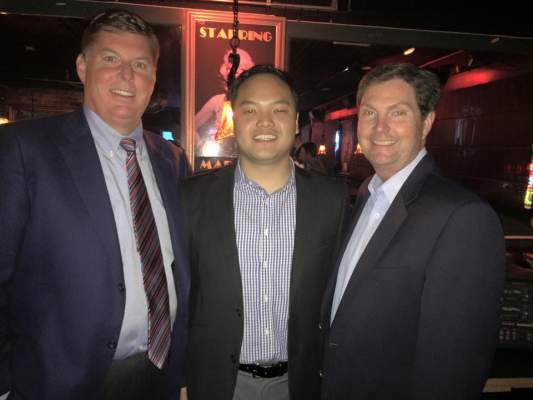 Lalloway went nuclear when he was dismissed – telling Choi via email that ““I will be pulling my endorsement of you and supporting another candidate in your assembly race. As a matter of fact, I will be doing everything I can to make sure you lose in every race you ever run again,” Lalloway wrote in an Oct. 29 email to Choi. “Say goodbye to your political career,” according to the Voice of OC. I suspect that Choi and Shea also went along with CRP Chairman Jim Brulte and OC GOP Chairman Fred Whitaker because Pulido was a longtime ally of their hated enemy, Agran. Pulido was recruited to serve on the Board of the O.C Great Park by Agran. The Irvine City Council’s Republican majority now runs the Great Park and they have been auditing the wasteful way Agran and his allies spent money on the Great Park for over a year. 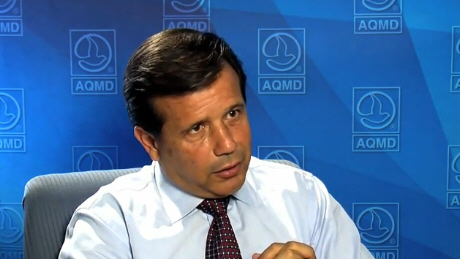 For Pulido getting dumped from the AQMD’s Board is a complete fiasco. He’s widely known as a champion of the still budding green energy industry, and he also chairs the U.S. Conference of Mayors’ Energy Committee, according to the Voice of OC. And he has had the use of two electric cars, from the AQMD for some time (his personal assistant drives one of them). Pulido still gets a car allowance from the City of Santa Ana but beyond that his brother, Luis, will now lose his part-time job as Pulido’s assistant at the AQMD, which reportedly was worth $37K a year. What does all this mean to the people of Santa Ana? Well it comes down to this, like Pulido or not it was handy having our Mayor on the AQMD’s Board. Orange County will now be represented by a Councilman from the tiny city of Lake Forest. While Santa Ana has over 334K residents and is the Orange County seat, Lake Forest has just over 80,000 residents, according to the U.S. Census Bureau. The only people happy about this are Pringle, the Republican machine and the oil industry. Say what you will about Pulido but he is an engineer while Robinson is a commodities trader. 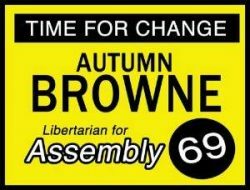 Guess how Robinson will vote on AQMD issues?